Do you have students who just can't make friends or get along with each other? Every year I struggle with a few students who have these problems. I get frustrated because it interferes with our learning time but I also know that often these children come to school without having learned the social skills they need to get along with others. Luckily I found this awesome freebie to help out. 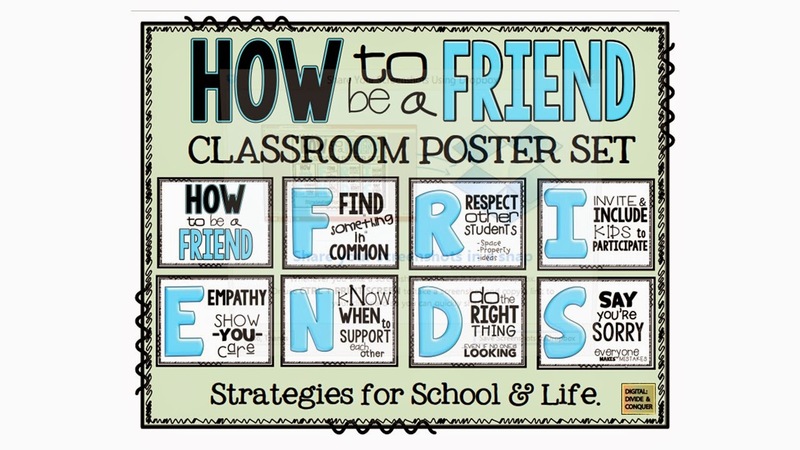 It's just a great visual reminder of what students can to do to be a good friend. You can get a copy here. Plus, how cute is it?? I love it and it will look great on the wall. She also has a great activity pack you might be interested in. You can check that out here. Enjoy!